Students of Bonne Nouvelle learn about Minnesota snow. Next week, we Minnesotans are being invited to “Give to the Max.” Of all the things I love about Minnesota, this is very close to the top of my list. To come together as an entire state to make a difference in so many possible ways is truly a blessing. Incredible work by some very dedicated faith communities within ECMN has really made a difference in the lives of Haitians. Yet, as importantly, our good sisters’ and brothers’ lives have been significantly transformed by the relationships and partnerships that they have formed. 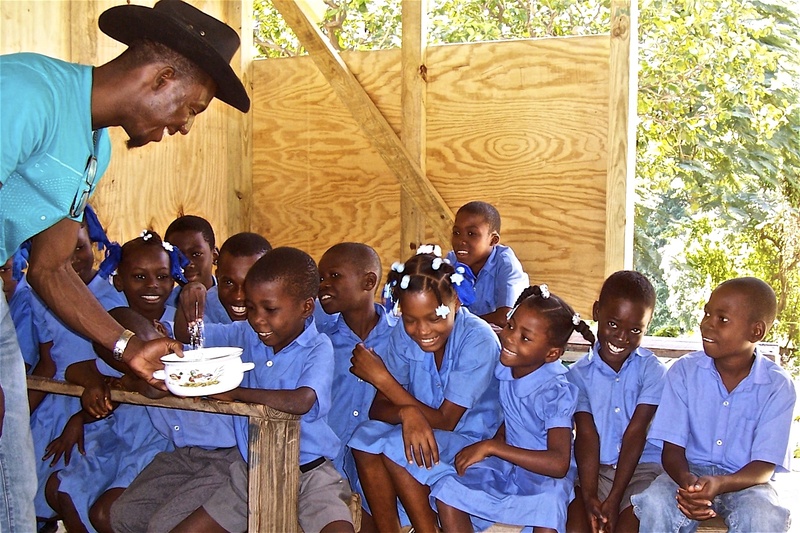 Mission Opportunity 2015 is an opportunity for our faith communities to experience the transformation that springs forth from entering into a relationship with the wonderful people of Haiti. The Mission Opportunity team has put together an amazing array of ways that your faith community can Engage the Spirit in Haiti. And one of those opportunities is to consider participating in our Mission Opportunity Give to the Max Day next week. I hope you will take advantage to engage God’s Mission in Haiti.